Trio World Academy (TWA) is the recipient of the Education Excellence Award as the Best International School in Bangalore. Head of the School Mr. Vinod Singh said, “this is recognition for all the hard work from our staff, students, our incredibly supportive parents and local community who have sustained and encouraged TWA over the last twelve month”. “We are very proud of our school and look forward to another exciting year”. TRIO is a reputed international school with students from over 28 countries, and a growing reputation for excellence. TRIO has recently announced to open another state of art International campus in North Bangalore which is a fulfillment of their intention to move the school always forward. TRIO is ranked among the top 10 International Schools in India. Ms. Lakshmi Priya, a Physics Teacher at Trio World Academy (TWA) has received an award for BEST Paper on Innovation and Best Practice in Teaching, which included a trophy and a cash prize of Rs. 10,000/-. This competition is called Treasure Trove organised by Garden City College in Bangalore to give educationalists an opportunity to be recognised and rewarded for their academic excellence. Lakshmi Priya was selected from 400 participants for this award. 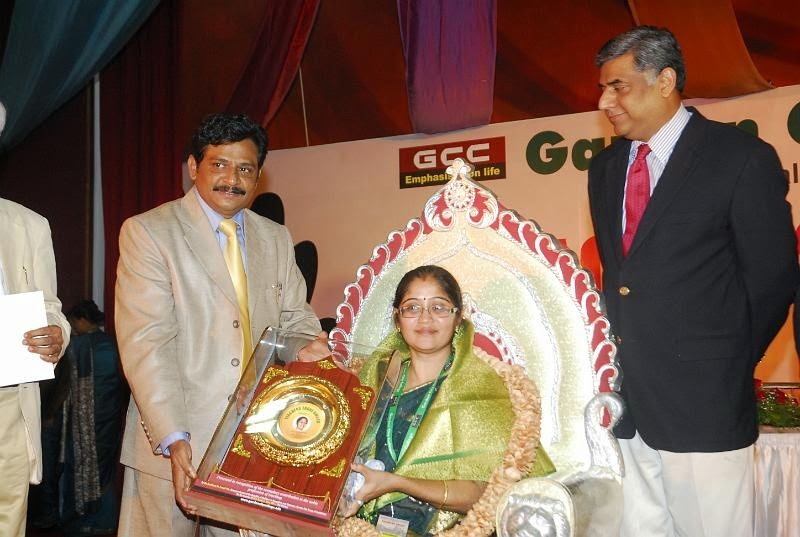 The award ceremony took place in Bangalore on Saturday, the 12th of October 2011. Head of the School of Trio World School congratulated Ms Priya and said "this is testament to the quality of teacher that TWA has in its Faculty". Trio World Academyis proud of Ms Priya’s recognition through this award. To the sound of cheers and the waving of flags Trio World Academy’s (TWA) new large waterfall and playground were opened by the British Deputy High Commissioner Mr Ian Felton and his wife Judith on Wednesday 14th September. His arrival heralded the beginning of a morning of festivities hosted by the Head of the School and Board of Directors of TWA. competition, were given a tour of the school by the Head of the School and Board of Directors, had “High Tea”, and of course the ribbon cutting. In between Mr Felton and his wife took time to sit on the grass and were pleased to speak to children of all ages. At the moment of cutting the ribbon for the waterfall, it was turned on and a flow of clean clear water cascaded downwards across the beautiful granite panels. When the playground was officially opened laughing happy children ran in to play on the state of the art swings, slides etc. Trio World Academy Head of the School said “TWA is proud of its reputation as a place of learning, now it’s also an aesthetically pleasing environment for the students in their leisure time around the school”. The morning ended with the guests being driven from the TRIO campus to the echoing sounds of water gurgling and children playing. Ganesh Srinivas, a Grade 9 student at Trio World Academy in Bangalore recently won the title of All India Champion Lawn Tennis player in the Boys under 14 Category. TWA Principal congratulated him at the school assembly this week for his skill, stamina and hard work. We are very proud of you ! Don't worry about your future and don't criticize yourself for things you have or haven't done. Your choices are half chance and so is everyone else's. To combat worrying, try and do one thing every day that scares you. Whether it's climbing a tree, standing up for your-self or jumping in the deep end at the swimming pool. Remember what other people think of you is not who you are. Dream, but don't daydream too often. Try everything once. Keep calm even when everyone else is losing their head and blaming the problem on you. Learn to trust yourself, even when everyone else doubts your abilities, but also listen to their doubts. Get to know all your strength and weaknesses. Test all of your weakness until they are strengths. Keep a journal of your young life and take up hobbies that will help you grow as a person. Even if you have nowhere to do it but in your own home or the shower. If you can't sing or dance, learn to play an instrument and if that doesn't work learn another - eventually you might get lucky. Last resort, is learn to whistle. Wait but try hard not to get tired of waiting. Watch a sun set and a sun rise and spend some quality time trying to get to know your-self. On journeys, take a book but break for conversation. Know that if it is worth while it will take time. Martial Arts or jigsaws should teach you some kind of self-control. Work hard to bridge the gaps in education, because the older you get, the more difficult it is to relearn what you have forgotten from when you were young. Read the classics, they will help you understand life's twists and turns. Explore your artistic side, even if you have no talent whatsoever. Hold on even when there seems to be nothing left, you never know what's just around the corner or over the next hill. Learn that you should never be treated as anything less than you deserve. Take risks but don't say a word about what you have won or lost and start again if you have to. Play cards and darts but don't waste your money on betting it's a fool's game. Especially when playing Frisbee in the park or flying a kite. Get to know your parents and teachers. Listen to what they have to say. (Even if you don't always take notice of them.) Parents and teachers are an excellent resource to know how it all went wrong! Nonetheless respect your elders. But don't look too good. All children should enjoy the influence and beauty of their youth. Trust me if you're under 18 you look fabulous and have lots of potential. However don't mess too much with your hair or by the time you are 18, you will look 80. Fashion is for the young, if you don't shock your folks with your outfit at least once before your 18 then you're not trying hard enough. Brush your teeth, floss and get plenty of calcium while you're still growing. - believe me you'll miss your teeth when they're gone! Keep yourself and your virtue. There are many things to fall in love with, music, swimming or sleeping in late on a Sunday morning. But try not to fall in love with things that are bad for you. By all means fall in love with people but don't put up with people who are irresponsible with your young heart. It's wiser to surround yourself with people who love you, will care for you and protect you when you need their support and guidance. When you're old enough, get a part time job. Don't feel too guilty if you don't know what you want to do with your whole life when you are 16. The most interesting people I know still don't know what they want to do with their lives and they are in their 60s. Don't expect anyone else to support you after you become an adult. Maybe you marry money or have generous parents, but you never know what might happen in the future. Start young and save money for times when you need to access some personal funds. It is tempting to depend on others financially, but before you experience independence, you must be independent. Your whole life is about finding out about who you are, and who you want to be. Don't waste your time on jealousy with what other children have. The popular rich kids you know when you are young don't always turn out to be popular or rich adults. The race of life is long and winding but in the end it's only with your-self. Do what you feel is right. Fill every second you can with joy, for adulthood is not always so pleasurable. To yourself, animals and be nice to your siblings: your brothers and sisters are your best link you have to your past and the people most likely to stick with you in the future. Eat in moderation, get plenty of exercise and don't kill too many insects. Be careful about what you say and whose advice you take. However, be patient with those who supply you with advice. Know that advice is a form of nostalgia and that most people paint over the ugly parts before they feed it to you. Don't paint over your ugly parts; you and your history are what make the person you are. However remember it's not what you do it's what you choose not to do that makes you the person you are. Wash your hands. Wait but don't wait too long. Watch adults cook and help where you can. Don't tell lies and don't hate. Know that prices will rise, people will fail you and you too will get old; and when you do, you'll fantasize that when you were young, prices were reasonable, people were accountable, and children did what they were told. Do what you are told and obey the law. Become skilled at finding out who your true friends are but understand that friends come and go, but with a precious few you should hold on. Boys get someone you trust to teach you to shave. Girls get someone you trust to teach you to manage your hair. Discover that no one is perfect. Remember the only person who will always truly be with you is you. Know that home is where your heart is. But you should also live in a city once, but leave before it makes you hard and live in the countryside once, but leave before it makes you soft. Wherever you live know that everyone have to overcome obstacles and that where you live as a child doesn't have to be where you will always live. The Earth has much to offer, but still reach for the stars. Remember your childhood is short, but in the end, it's your childhood. Learn to roller-skate, ride a bike, drive a car, take a train and fly someplace once in a while. Sometimes it will be a triumph and sometimes a total disaster. But trust me travel! Students in Bangalore don’t want to be left behind when the entire world is opening up their hearts and coffers to aid Japan in its hour of worst crisis. They want to do their bit for the country that has been battling earthquake, tsunami and a nuclear threat. Many city schools have come up with initiatives to chip in and do their bit for the victims and survivors. At Trio World School, the students are working on a fundraiser. They intend to make the best use of Holi, which they are celebrating on Friday, by selling water guns and other products, the proceeds of which will go to the Red Cross to support their work there. A bake sale will also be organised to facilitate the purpose. St. Joseph’s Boys’ High School, conducted a prayer service and is also encouraging students to donate money. “We will be collecting the funds till the end of the month, after which it will be sent to the victims,” said Father Celestine Sera, principal of the school. Once the students of Army Public School are back from their short break after the exams, principal of the school, Manjula Raman, says that they will be encouraged to write letters to the victims. “At this point, more than clothes or any other donation, they require emotional support,” she said. Poems, cards with a flower or two attached, personal notes are some gestures that will help them smile in bad times, she said. It will be handed over to the Japanese Embassy to be given to the victims. Students of Classes IX to XII from CBSE-affiliated schools are chosen to attend a short-term invitation programme in Japan. The programme, which is usually held during May-June, 2011 and is arranged by Japan International Cooperation Centre (JICE) under the Japan-East Asia Network of Exchange for Students and Youth programme (JENESYS), will provide an opportunity for the students to help the victims. The International General Certificate of Secondary Education (abbreviated IGCSE ) is an internationally recognized qualification for school students, typically in the 15-16 age group. It is similar to the GCSE in England, Wales & Northern Ireland, Standard Grade in Scotland or Junior Certificate in the Republic of Ireland. The International General Certificate of Secondary Education (IGCSE) is a globally recognized qualification, conducted at the Class 10 level, similar to the Class 10 examinations of the CBSE and ICSE or the middle years programme of the IB. IGCSE, formed in 1988, is a comprehensive two-year programme, spread over Class 9 and 10, and leads to the final examinations offered every year in May and November. A wide range of international schools offer high quality International General Certificate of Secondary Education (IGCSE) programme’s to students. IGCSE is one of the most sort-after and recognized qualifications in the world. Cambridge IGCSE provides a broad study program and covers subjects from a variety of areas: Languages, Humanities, Social Sciences, Mathematics, Creative, Technical and Vocational. This is designed to make IGCSE suitable for students with varying levels of ability. Cambridge IGCSE allows teaching to be placed in a localized context, making it relevant in different regions. It is intended to be suitable for students whose first language may not be English and this is acknowledged throughout the examination process. The IGCSE has been introduced in the school for selected students of Std.8 in June 2007. In 2009, Cambridge IGCSE papers in more than 70 subjects were taken by students in over 120 countries worldwide, including the United Kingdom, Malaysia, Egypt, Kuwait, Hong Kong, India, Bahrain, Peru, UAE, New Zealand ,Vietnam, Thailand and Costa Rica. IGCSE caters for different levels of ability with a choice between core and extended papers in many subjects. The resulting qualification provides a foundation for higher level courses, such as the International Baccalaureate, A and AS Levels, the Advanced International Certificate of Education and the North American Advanced Placement programme. The core curriculum is based on an overview of the subject and is suitable for students expected to achieve grades C to G. The extended curriculum is more challenging and designed for students who are expected to achieve grades A* to C. Grades achieved through either route have the same values. IGCSE offers a flexible course of study that gives candidates the freedom to choose subjects that are right for them, while providing them with a broad knowledge base and lifelong skills. The International General Certificate of Secondary Education (IGCSE) is a globally recognised qualification, conducted at the Class 10 level, similar to the Class 10 examinations of the CBSE and ICSE or the middle years Programme of the IB. IGCSE assessment is conducted by Cambridge International Examinations (CIE). 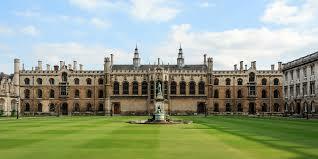 The Cambridge IGCSE was developed by University of Cambridge International Examinations (CIE) in 1988. The final qualification provides a foundation for higher level courses, like A and AS Levels, the North American Advanced Placement programme, the Advanced International Certificate of Education and the International Baccalaureate (IB). It is recognized by academic institutions and employers around the world. In entrance to U.K. higher education, UCAS(Universities and Colleges Admissions Service) recognizes it as equivalent to 2 U.K. GCSE's. IGCSE is a high profile qualification. It has an excellent reputation amongst international schools worldwide. IGCSEs are recognised as a reliable record of attainment which counts towards entry to universities and colleges around the world. More than the assessment body, parents need to think about which school is better for their child. IGCSE is designed to be taught as a two year course for students aged 14 to 17 years. In most subjects there is a choice between core and extended curricula, making IGCSE suitable for a wide range of abilities. Students can enter for the level that is most appropriate for them and this need not be the same across all subjects. The Cambridge Checkpoint is a standardized diagnostic test in English, Mathematics and Science conducted by IGCSE students at the end of Grade 8. Students of IGCSE class of Grade 8 will appear for the Checkpoint examination in April-May. IGCSE courses take two years to complete and exams are taken at the end of that period. Most IGCSE subjects offer a choice of Core or Extended papers (in Cambridge), and foundation or higher papers (in Edexcel). There are currently 38 IGCSE subject qualifications available in the new IGCSE from 2009 suite - an increase from 22 IGCSE subjects in the legacy suite. Double awards are available for science. At school, students are encouraged to study a wide range of subjects at IGCSE level, at the same time, in order to follow a broad and balanced curriculum, many students take courses from each of the IGCSE groups particularly if they’re aiming to go on to further education. The course differs for each subject, but throughout there will be a mix of assessment methods, including coursework, practical exercises, oral and listening tests, projects and written examinations. Cambridge ICE is the group award of the International General Certificate of Secondary Education (IGCSE) and requires the study of subjects drawn from the five different IGCSE subject groups. It gives schools the opportunity to benefit from offering a broad and balanced curriculum by recognizing the achievements of students who pass examinations in at least seven subjects, including two languages, and one subject from each of the other subject groups. For each subject, the certificate merely indicates the grades scored, and not pass or fail. Five scores of 'C' or higher indicates a students readiness to pursue +2 level qualifications, like the Class 12 CBSE,ISC, IB Diploma, Advanced Placement Diploma (US), etc. Candidates hoping to gain the Cambridge ICE group award must enter and sit for at least seven subjects selected from the five IGCSE curriculum areas. One subject from each of Groups II, III, IV and V. The seventh and eighth subjects can be opted from any of the subject groups II-V.
A subject opted by less than 10 students may not be offered. IGCSEs are 100% externally assessed. This allows schools to offer an IGCSE qualification, even if teachers are not coursework specialists. Some IGCSEs contain a coursework option so that centre’s that do have the experience and expertise can offer coursework. IGCSEs are graded in the same way as GCSEs (A* to G). For tiered subjects, Foundation tier papers are targeted at grades C to G, and Higher tier papers are targeted at grades A* to D. This allows students of all abilities the opportunity to gain good results. 1. IGCSE is one of the most sought-after and recognised qualifications in the world. It develops and encourages vital educational skills, including oral skills, investigative skills, problem solving, team work, recall of knowledge, and initiative. 2. The IGCSE programme has worldwide status and credibility. In India, the course is delivered in over 130 schools with the number expected to touch 600 soon. It is recognised by the Association of Indian Universities (AIU) as being at par with CBSE, ICSE, etc. 3. Worldwide, it is delivered in schools in over 140 countries and is recognised by colleges and universities everywhere, more so in the UK and other Commonwealth countries. 4. The IGCSE curriculum is balanced and lends an international perspective to studies. It also takes account of differing abilities of students. 5. IGCSE students can take advantage of the Cambridge Checkpoint, a diagnostic service comprising of standardised tests, that pin-points a student's strengths and weaknesses in key curriculum areas.